Conflict should also be distinguished from play fighting. If interactions are mostly one way, there is a lot of wrestling with vocalizations, and there is biting and claws involved then sadly your kitties are not playing! Cats, like people, have different personalities and when personalities clash it can sometimes lead to furry fights. 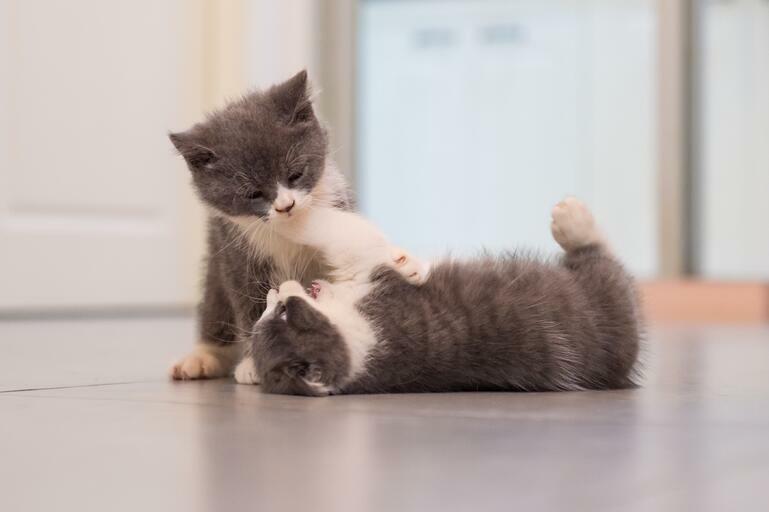 Age can also play a part: younger kittens with lots of energy may want to play too much for an older cat and may not realize when they’re pushing their luck. Secondly, use FELIWAY MultiCat to send ‘harmony messages’ to your cats. Plug the diffuser where your cats spend most of their time. If you have enough space to allow your cats to live in significantly separate areas, consider plugging in several diffusers to make sure each of them gets the message! FELIWAY MultiCat has been clinically proven to help reduce signs of tension or conflict, even if cats have been fighting for years. 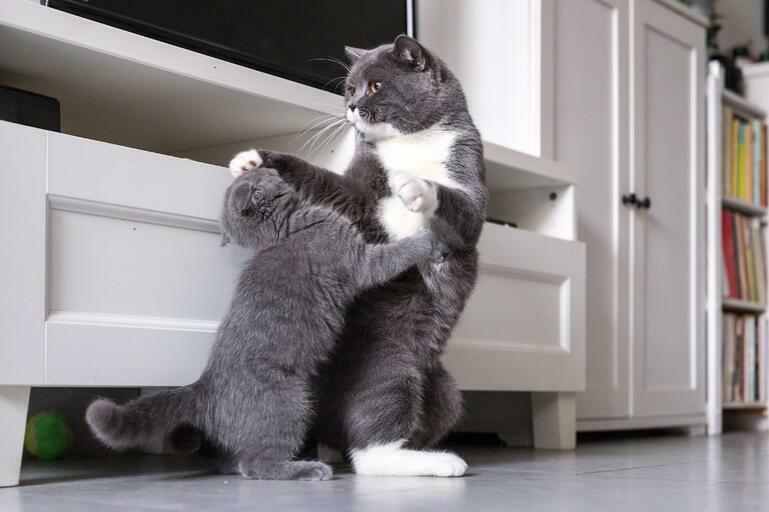 For more information read our article on how to stop cats fighting. 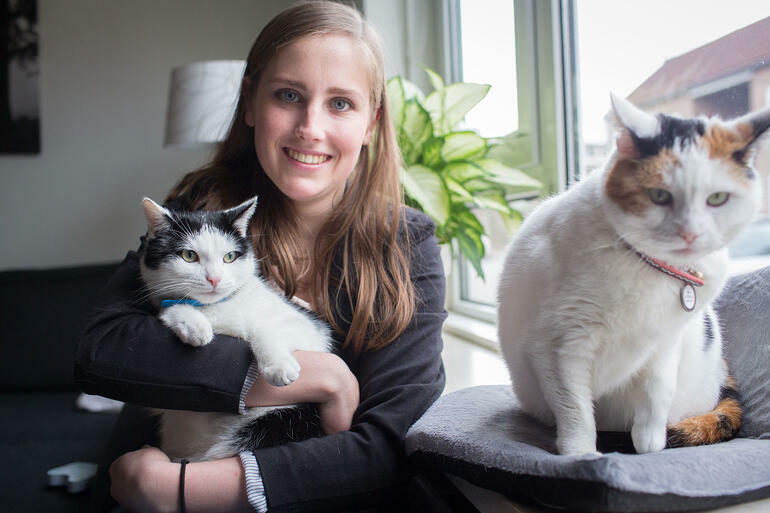 Thanks to the ‘harmony messages’ that FELIWAY MultiCat releases, you should start to see your furry friends getting along much better within the first 7 days. We recommend using it for at least a month to establish real change.